One of Chicago’s prominent sports radio hosts has a new contract – and a new weekday slot. Longtime WSCR-AM (The Score) veteran Laurence Holmes is getting his own midday slot weekdays from noon to 2 p.m., beginning March 28 – coinciding with the start of the baseball season. Holmes previously had been nighttime host at the Entercom-owned sports talker. No one is being replaced in the move, though the midday show with Dan Bernstein and Connor McKnight and the afternoon show featuring Dan McNeil and Danny Parkins each lose an hour. Starting on March 28, Bernstein-McKnight runs from 9 a.m. to noon and McNeil-Parkins runs from 2 to 6 p.m. The moves are part of a new contract Holmes signed with the station recently. Holes has been with The Score since 1998. 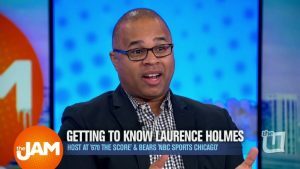 Holmes is also an alum of Homewood-Flossmoor high school, home to another alum in sports broadcasting – ucrrent White Sox play-by-play man Jason Benetti also hails from the south suburban high school. A former shortstop with the team, Guillen was White Sox manager from 2004 to 2009 and helped guide the team to a World Series title in 2005, the team’s first in 88 years. He was also named American League Manager Of The Year. 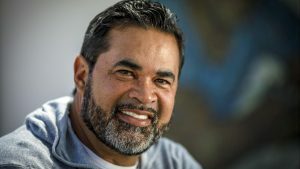 After a short stint with the Florida Marlins as manager, Guillen did some pre- and post-game work for Fox Sports’ baseball playoff coverage, and last year joined NBC Sports Chicago as analyst for the RSN’s Baseball Night in Chicago, where he’ll remain this season. The moves comes as the White Sox (and the Bulls and Blackhawks) are increasing their ownership share in NBC Sports Chicago as the Cubs drop out to form their own network named Marquee. Last year, NBC Sports Chicago expanded post-game programming after live games to provide more analysis. 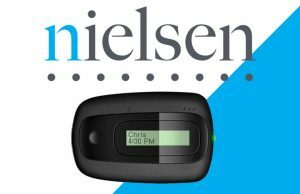 The latest Nielsen PPM numbers are out and they show WBBM-AM in first place again. But there’s some notable surprises. For one, News/Talk WGN-AM jumped back into the top ten to claim eighth place with a 13 percent increase from February 2018’s numbers. Also surging into the top ten is Chicago Public Media’s WBEZ-FM finishing in a tie for ninth place – believed to be their highest ranking ever, up 50 percent in ratings from February 2018. Also unimpressive was WLS-AM’s new lineup, with Mancow Mueller’s new morning show in eighteenth place and the syndicated Ben Shapiro in 25th. In hopes of turning around the conservative talker, WLS hired Stephanie Tichnor away from WGN as program director and also re-hired Lauren Cohn as afternoon news anchor at the Cumulus-owned station, as reported by Robert Feder (Cohn was on a WLS show with John Kass until it was canceled in 2015.) WLS finished 21st overall in the latest survey. Soon, Chicago’s WGN-TV will no longer have New York’s WPIX as a sister station. That’s because incoming owner Nexstar announced it was selling nineteen stations in fifteen markets – including Tribune’s East Coast flagship WPIX to Scripps once the Tribune-Nexstar deal closes. Nexstar is selling eight other stations to Scripps, including KASW (CW) in Phoenix; WSFL (CW) in Miami; and KSTU (Fox) in Salt Lake City, among others. The remaining are being sold to Tegna, including WTIC/WCCT in Hartford; WOI/KCWI in Des Moines; and WQAD in the Quad Cities. Already owners of NBC affiliate WTMJ in Milwaukee, Scripps would have 59 stations in 42 markets, including a newly-formed duopoly in Phoenix, where Scripps already owned ABC affiliate KNXV. This would be KASW’s second partner; they were once under a duopoly with independent KTVK under Belo. But Nexstar’s decision to deal WPIX is a shocker, but understood: the station group is trying to get under the 39 percent coverage cap in order for regulators to approve the deal; the enormous reach of the New York City market (at 7 percent of the nation) is obviously the main reason for the sale. Nexstar has an option to re-purchase WPIX between March 2020 and December 2021 should Congress raise the cap to 50 percent or more. WPIX’s history is intertwined with WGN; the station – founded by the Tribune-owned New York Daily News, signed on in 1948 and was operated by the WGN Continental Broadcasting Company, later renamed Tribune Broadcasting. Tribune purchased Los Angeles’ KTLA in 1985, giving them stations in the top three markets of New York, Los Angeles, and Chicago – an important clearance block for any syndicator and competed head-to-head with Metromedia/Fox, who also owned stations in the top three. Tribune was instrumental in the formation of The WB, who became The CW with its merger of UPN in 2006. It is not immediately known what impact the sale of WPIX would have for the syndication business with the key WPIX-KTLA-WGN sale block broken up.